Life reconstruction of Carnufex carolinensis. Copyright Jorge Gonzales. Reconstructed skull of Carnufex carolinensis. 3D surface models of skull bones shown in white. Grey areas are missing elements reconstructed from close relatives of Carnufex. N.C. Museum of Natural Sciences curator Vincent Schneider recovered the specimen, and it was analyzed by Zanno and Drymala, with contributions by Schneider. 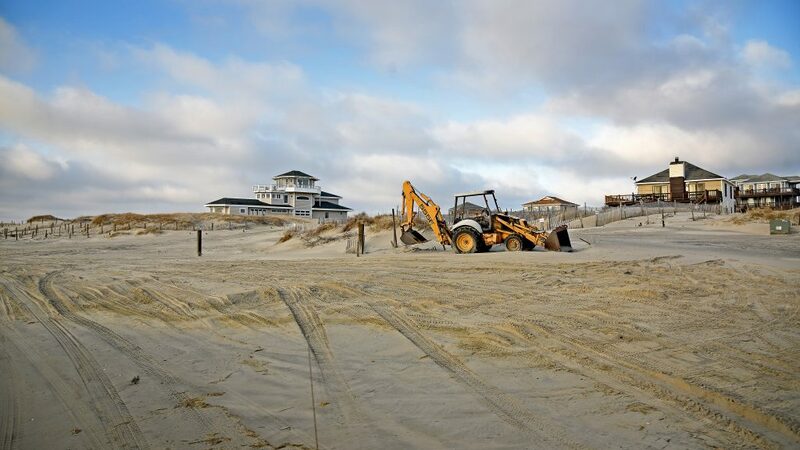 Sterling Nesbitt of Virginia Polytechnic Institute also contributed to the work. The researchers’ findings appear in the open access journal Scientific Reports. Triassic predatory guild evolution reflects a period of ecological flux spurred by the catastrophic end-Permian mass extinction and terminating with the global ecological dominance of dinosaurs in the early Jurassic. 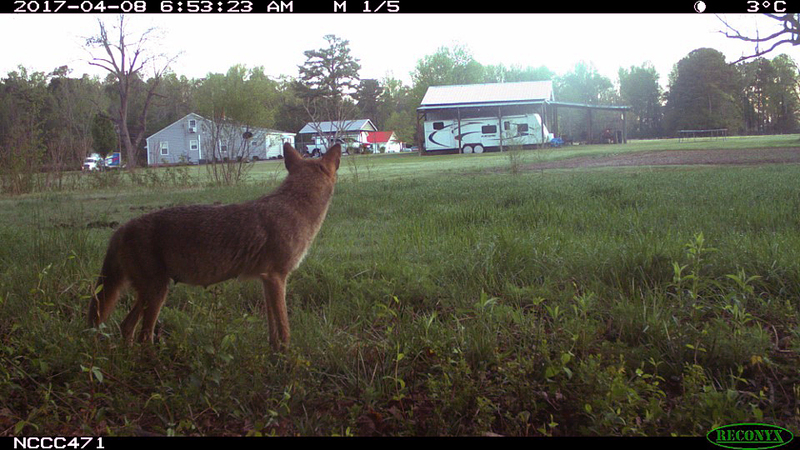 In responding to this dynamic ecospace, terrestrial predator diversity attained new levels, prompting unique trophic webs with a seeming overabundance of carnivorous taxa and the evolution of entirely new predatory clades. Key among these was Crocodylomorpha, the largest living reptiles and only one of two archosaurian lineages that survive to the present day. 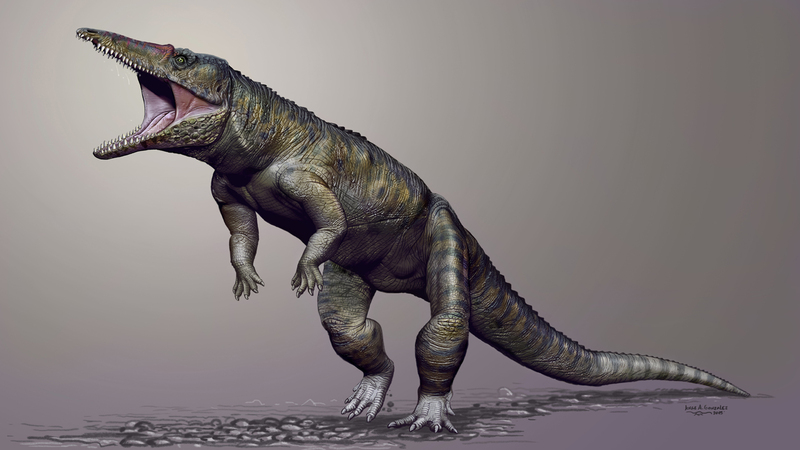 In contrast to their existing role as top, semi-aquatic predators, the earliest crocodylomorphs were generally small-bodied, terrestrial faunivores, occupying subsidiary (meso) predator roles. 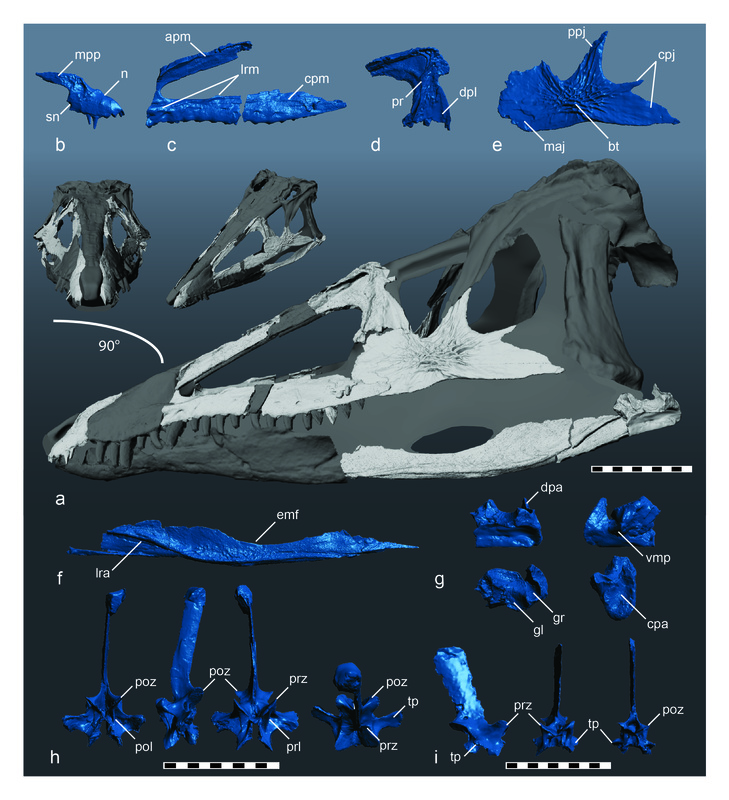 Here we describe Carnufex carolinensis a new, unexpectedly large-bodied taxon with a slender and ornamented skull from the Carnian Pekin Formation (~231 Ma), representing one of the oldest and earliest diverging crocodylomorphs described to date. Carnufex bridges a problematic gap in the early evolution of pseudosuchians by spanning key transitions in bauplan evolution and body mass near the origin of Crocodylomorpha. 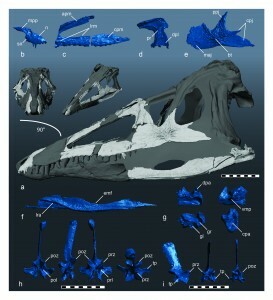 With a skull length of >50 cm, the new taxon documents a rare instance of crocodylomorphs ascending to top-tier predator roles in the equatorial regions of Pangea prior to the dominance of dinosaurs. Someone asked how much of The fragmented bone was found that identified this creature. I think that this is a reasonable question. Also, the reconstruction has an obvious flaw. There is not enough mass in the tail area to balance the body for regular walking behavior. Does the fossil evidence really show evidence that this creature walked on two legs, either through hip sockets, fossil footprints, etcetera? I have a thousand questions here, but see no real, hard, evidence. Where can I see this, or is it available for public inspection online. At least, from this article,I see no information that this is anything more than another “Nebraska Man” hypothesis. How many bone fragments were discovered? Were there any fragments other than the cranial fragments discovered?